Are the End Times drawing near? How do current events figure into prophecy? What role does America play in prophecy? 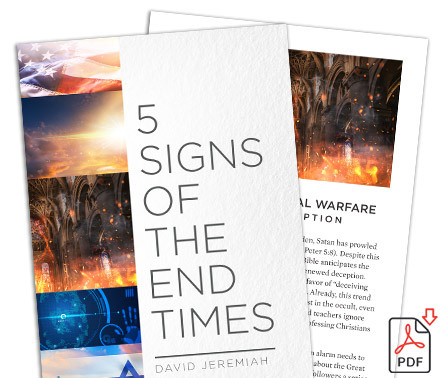 Receive a pictorial guide to five key signs of the End Times when you establish a free account with Turning Point today. At Turning Point, we are constantly working to enhance your experience on DavidJeremiah.org. One of our newest advances is a complimentary account system that will provide a more personalized interface with our website. The only things you need to provide are your first and last name, email address, and a password. Once your account is established, 5 Signs of the End Times will appear in your account library. As you request additional products and digital downloads, they will be added to your account library. If you have already created an account, thank you! A copy of 5 Signs of the End Times has been added to your account library. 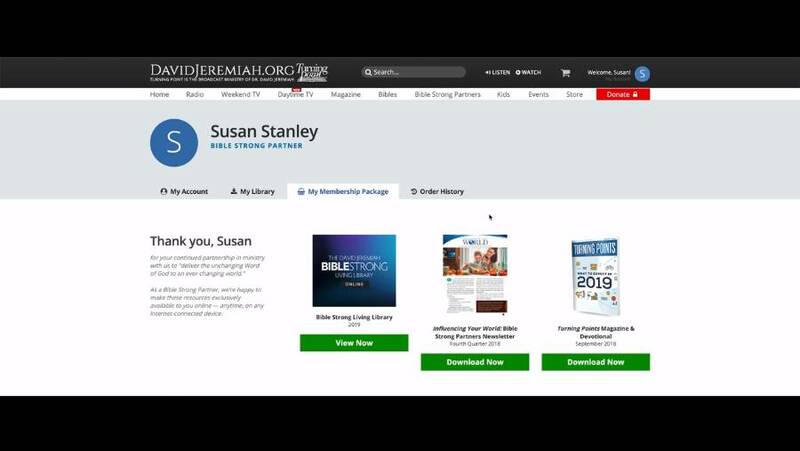 We are grateful for your partnership as we deliver the unchanging Word of God to an ever-changing world! Note: There is no donation required to access 5 Signs of the End Times or to create an account.